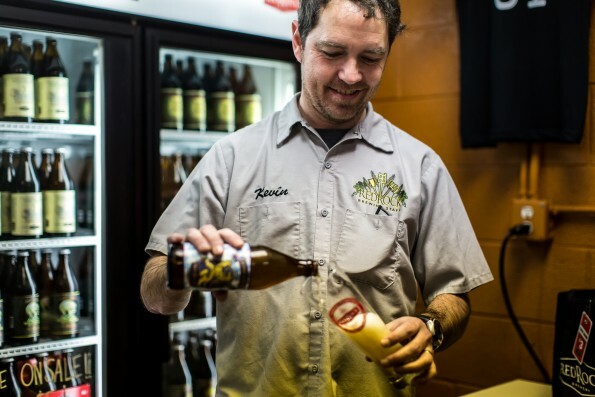 One of the most well-known breweries in the state opened its doors 22 years ago, and each year the business seems to be getting better. Despite some of the queer and perplexing alcohol laws in the Beehive state, the craft beer culture is prospering and growing in popularity; they are more in vogue than ever before. Over the years, Red Rock beer has earned hundreds of awards across all beer style categories. Notably, their Paardebloem has won a gold medal in every competition in which it has appeared . They also won the Brewery and Brewmaster of the year from the Great American Beer Festival in 2007. From an every-growing list of beers, their Elephino, which they produce year-round, continues to be their top selling beer. Furlong, a bourbon barrel aged imperial stout, was released in December and quickly sold out. In fact, every time Red Rock releases a beer, it isn’t at all unusual for it to sell out fast or for customers to experience lines winding out the door on release days. So mark your calendar, prepare your tongue. 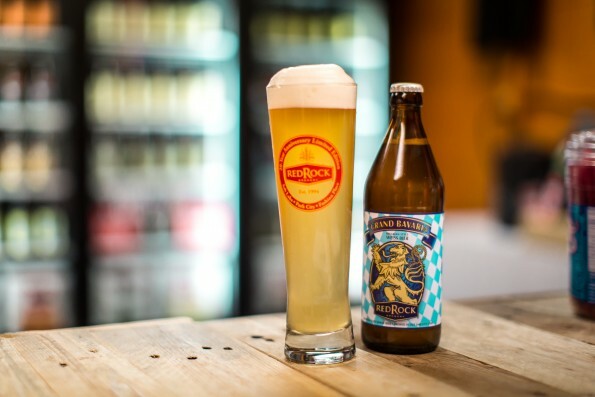 Paardebloem, a Belgian Ale, will be released in late April, but until then, you can enjoy Red Rock’s German wies bier, Grand Bavaria, that was released in February. But perhaps the fundamental reason Red Rock and Templin have been, and continue to be, so successful and popular, is their approach and philosophy to crafting beers. “Make beer for the people, not your checkbook,” Templin said.